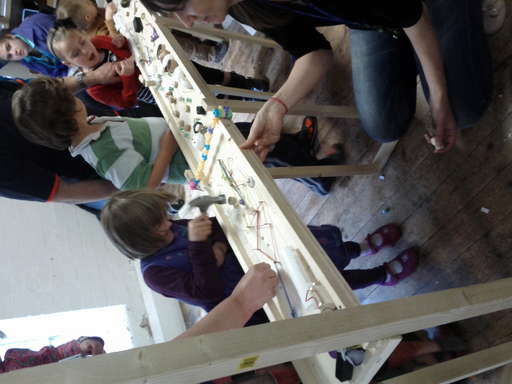 Due to my connection with Nottingham Hackspace, I was asked to provide the public participation activity for the What If?… machine day run at Derby Silk Mill as part of Derby Festé 2012. 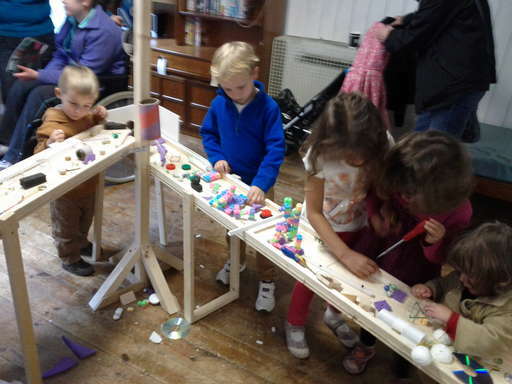 I built a simple marble run to which the visitors could add bits and pieces (mainly found materials) to make the marble run more interesting. A What If?…. machine is a crazy machine like the cartoons and ideas of Heath Robinson and Rube Goldberg. 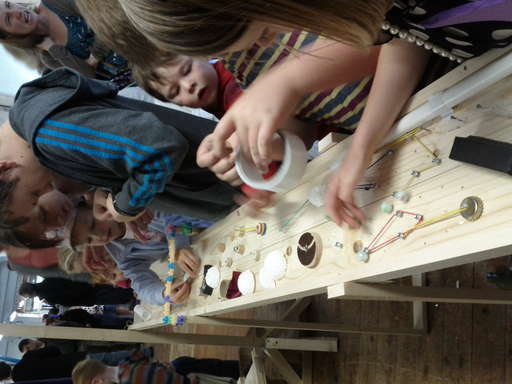 Derby Silk Mill had invited a number of groups to create a crazy machine which all linked together to create an amazing even more crazy machine. 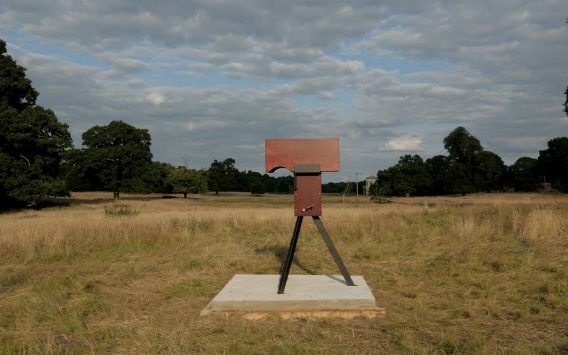 This event attracted over 1000 visitors and the What If?… machine was tried out a number of times during the day. 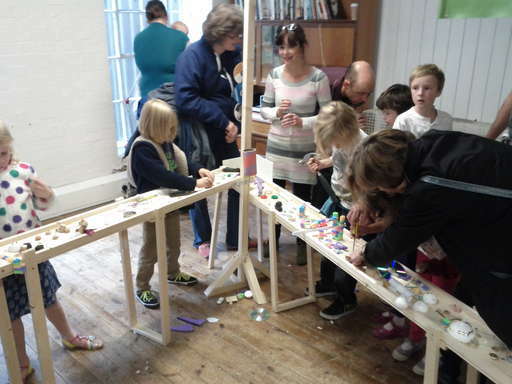 When the machine was not running then the young people (and the older people) could play with and add to the marble run. 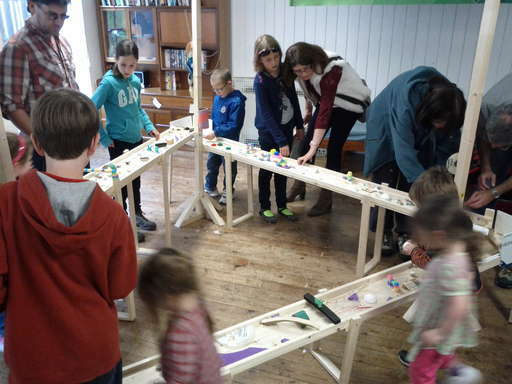 The marble run started as a pretty blank canvas to which the visitors added loads of inventive and crazy additions. It was quite amazing to see it develop over the day and the activity was crowded with young folk for the whole day. 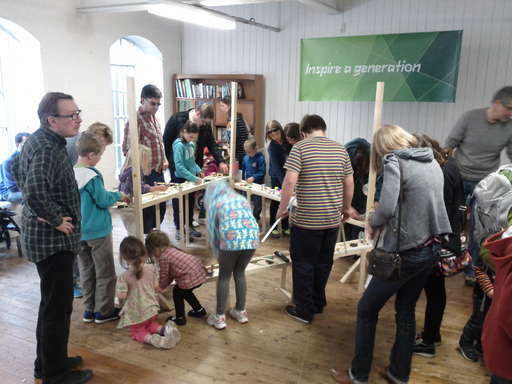 It was a practical device so they got to use simple tools (screwdrivers and hammers) and hopefully inspired a new generation of makers…. 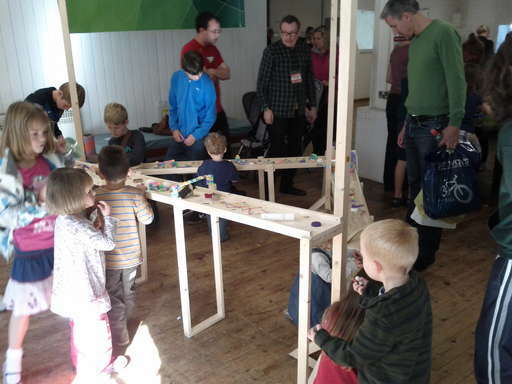 The marble run at the beginning of the day – pretty blank with a few ideas on it. 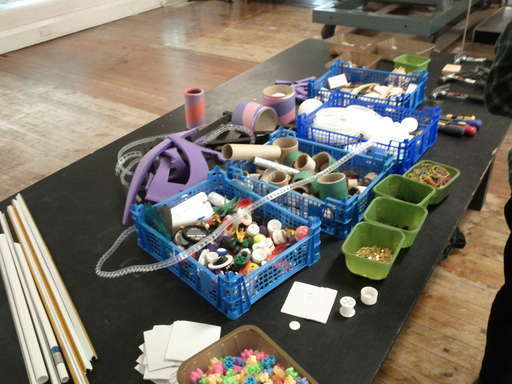 The materials to use – it was up to peoples imaginations what to add. For such a simple idea, it stayed busy for the whole day. 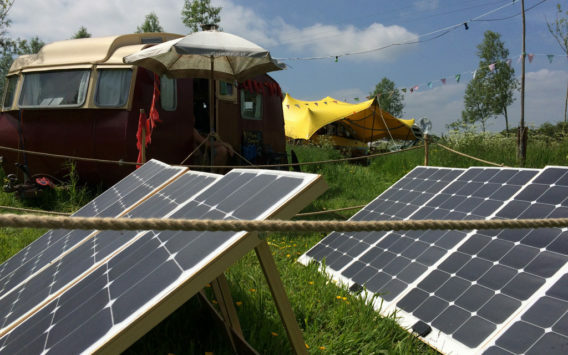 While this was not renewable energy, we are also actively involved in promoting science, technology and engineering. 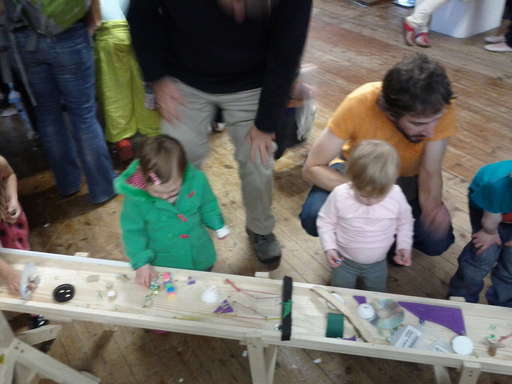 This was mainly built from found materials so was simple and relatively low-cost to run. 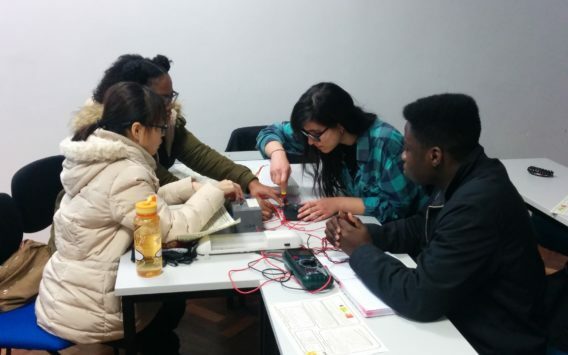 I really believe young folk need to have practical and hands-on activities to inspire them and get them creative. 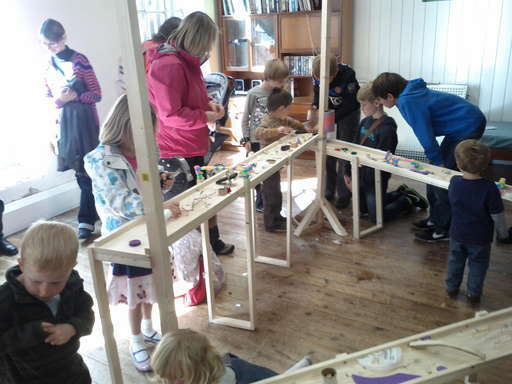 The marble run will be re-used at the Nottingham hackspace maker playgroup on Sunday 7th October.